Guts Casino has launched their latest NetEnt promotion which is available for all Norwegian, Finnish, and Swedish players. The Guts Casino Jetsetter NetEnt Promotion runs from the 17th of May until the 3rd of June 2018 where the top winner will win a private Jet Package for two. Fly off to a location of your choice and stay for 3-nights at a 5-star hotel. Of course you’ll receive top treatment with being wined and dined all the way! 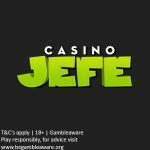 How to take part in the Guts Casino Jetsetter NetEnt Promotion? 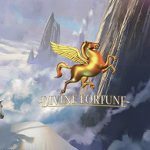 Please note: Only Norwegian, Finnish, and Swedish players are able to participate in this promotion. Deposit and wager at least €50 on the following games: Reel Rush, Fruit Spin, or Asgardian Stones to receive one entry ticket into the prize draw. Players can collect a maximum of 50 tickets per day. The lucky winner will be announced on Tuesday 5th of June 2018. A 5000km flight in a private jet for two to any destination of your choice. In-flight service which includes champagne and nibbles on board. Chauffeur services to and from the airport. 3-night’s stay at a 5-star hotel in a premium room (breakfast included). Champagne to welcome you at your hotel. Dinner for two at a gourmet restaurant of your choice. A tour of the city with a private guide, including a private driver. The Guts Casino Jetsetter NetEnt Promotion runs from the 17th of May until the 3rd of June 2018, 23:59 CEST. Only players from Finland, Norway and Sweden, determined by their IP addresses, are entitled to participate in the promotion. Players can make a deposit at any time during the promotion period to qualify. Please note that costs associated with taxation on the prize are the player’s own responsibility. 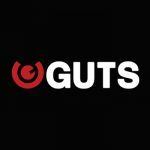 Guts Casino Friday Free Spins Offer – collect 10 Free Spins every Friday! Posted in Guts Casino and tagged Guts Casino, May 2018 offers. 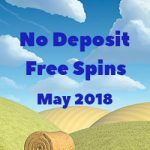 ← May 2018 No Deposit Free Spins Promotions – now available!